A “compassionate and caring” Warwick woman has been praised with a police award after stepping in to help a vulnerable teenager. Sukhdip Kaur is one of two members of the public to be praised for their quick thinking actions, public spiritedness and compassion. Appearing at the Warwickshire Police Chief Constable’s Awards Ceremony to receive her certificate, Ms Kaur was thanked once again for her efforts in helping police communicate with a vulnerable missing teenager in September last year. Officers heard that not only did she help resolve the situation and overcome a language barrier, but ensured the young person was given vital medical help. 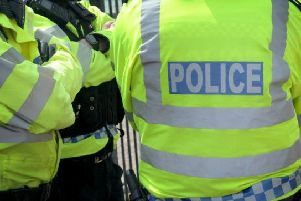 Warwickshire Police explained that they were in Warwick searching for a missing girl last year, but once found, she was not happy about talking to the police. It was only when Ms Kaur, who was passing at the time, approached officers and offered her help that things improved. The good Samaritan comforted the teenager, speaking their language and offering help with communication with the officers. A Warwickshire Police spokesperson said: “After nearly an hour of discussion with Sukhdip, police were able to get the teenager to safety. “The teenager was a vulnerable member of the community and was returned safely to hospital to continue treatment and obtain support. On Wednesday, Sukhdip was commended for her compassion, care and public-spiritedness during a stressful and emotional situation. Martin Jelley, Warwickshire Police chief constable, said: “We expect our officers to go above and beyond in their line of duty, however, when a member of the public does so, it is even more poignant. The awards were presented to at a ceremony in Kenilworth on April 13 where Martin Jelley was joined by Warwickshire Lord Lieutenant Tim Cox, and the High Sheriff of Warwickshire, Richard Samuda. The day was also attended by Police and Crime Commissioner, Ron Ball. Officers also praised three members of the Neighbourhood Watch scheme across the county after ongoing commitment to the community.